Garmin Forerunner 645 Music Review | Improve your performance! Put your best foot forward every time you lace up your shoes with the new Garmin Forerunner 645 Music. Providing you with all the sports training tools you could possible need, this watch will enable you to refine your performance. Its advanced multi-sport tracking features and recovery data are the key to understanding your form and technique. Combine all of this with a suite of smart features – such as contactless payments and music storage – and you have everything on hand to keep you moving. As someone who enjoys the distraction of music whilst working out, I was keen to review the Garmin Forerunner 645 Music for myself. Able to store over 500 songs, this smartphone feature allowed me to create a playlist that I controlled from my wrist to match my workout pace and mood. Competitive by nature, I am someone who loves analyzing my performance in order to better it and the Garmin Forerunner 645 Music, with its multitude of tracking features, provided me with more data than I knew what to do with. From measuring my training technique to studying my speed and recovery, the tracking tools on this watch are second to none. The build-in heart rate monitor, GPS and contactless payments allowed me to workout gadget free, and interactive smartphone notifications meant that I could keep connected to the office if and when I wanted to be. Although there was plenty to love about the Garmin Forerunner 645 Music, the reality proved slightly more disappointing than the hype. That said, take a look at my Garmin Forerunner 645 Music review to see why (despite a few technical blips) it still gets thumbs up from me. When I pound the pavements, I like to listen to some tunes in order to empty my headspace, keep pace and push myself further. And it seems I am not alone, as studies suggest that running to music can improve motivation and ultimately performance. Normally if I want to listen to some music I have to ensure that I remember to grab my phone or iPod when heading out the door. But, with the Garmin Forerunner 645 Music I was able to download up to 500 songs. By personalizing my own playlist, I could match each song to my workout schedule. This included fast tempo tunes for interval training and more mellow songs for wind down sessions. Although Apple, Spotify and Pandora are not yet compatible with the Garmin Forerunner 645 Music, I was able to download offline and find plenty of choice with apps such as iHeartRadio and Deezer. The contactless payment solution on the Garmin Forerunner 645 Music was a feature I never thought I’d use, but actually proved “priceless” on many occasions. Whether I needed to grab a drink to cool-down or catch a cab mid-run back to the office, the ability to just tap and go meant I didn’t need to worry about a wallet. And, although the list of participating banks may at present still be limiting, Garmin have assured us that are looking to increase this number over time. If you are training for a sporting event such as triathlon, marathon or road cycle race, you can program the Garmin Forerunner 645 Music to measure your activity and analyze your performance and recovery. I found this useful to get race ready as it monitored and evaluated my exercise history. Just like a personal trainer, it informed me when to build up my distances and pushed me to my physical limits. The FR645 Music’s biochemical metrics measured my stride length, ground contact time, pace, tempo, balance and rhythm when running and cycling and even calculated my stroke count and distance when indoor swimming. I haven’t yet used it for skiing or snowboarding but hope to hit the slopes this winter so will definitely be trying it out then. For me I personally liked the fact that the Garmin Forerunner 645 Music was large enough to catch the eye, but not so bulky that it weighed down the wrist when out exercising. The watch itself comes with a number of downloadable apps, widgets, faces and interchangeable bands, but for me its sleek black design meant that I could wear it not just as a sports watch, but for everyday use. The chroma screen was easy to read and the fact that you navigated through the screens using physical buttons meant it was effortless to use even with wet hands or slippery fingers. So, if you want a watch with substance and style, then I would recommend strapping on the Garmin Forerunner 645 Music. There are a number of free apps available with the Garmin Forerunner 645 music so, if like me you are obsessed with the weather, then you can take advantage of the Accu Weather Minute Cast app or if you want to warm the house for your return then download the Samsung SmartThings app or want to order a cab, then the Uber app can assist in getting you from place to place. One nifty feature, that I used more than once, was the find your phone app. Whether it is stolen, or in my case simple misplaced, it can help you to locate your phone in a matter of minutes. For me exercise plays an important part in switching off from the stresses and strains of working life, but there are times when I still need to stay connected. Normally this involves taking my mobile everywhere so that I can receive and respond to emails, text messages and social network notifications, but with the Garmin Forerunner 645 Music, I could pair it to my smartphone. A clever feature although for a workaholic such as myself, it’s about finding the right balance and choosing your moments to decide when to switch on. 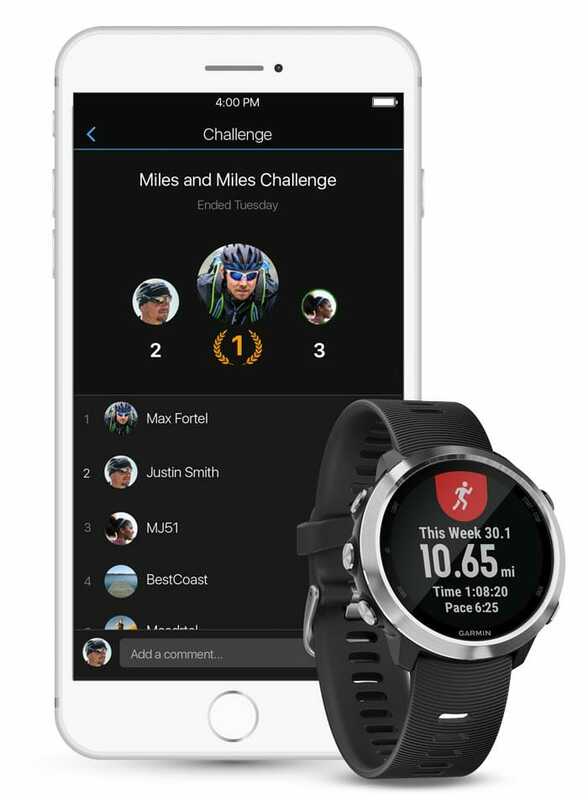 The Garmin Forerunner 645 Music is another device which is compatible with the Garmin Connect app. As I am already part of an online training group, it was great to be able to continue to monitor friends and family’s performances against my own via a leaderboard. It is great for motivation and encouragement, not to mention bringing out your competitive streak, and I constantly use it to review my past performances. 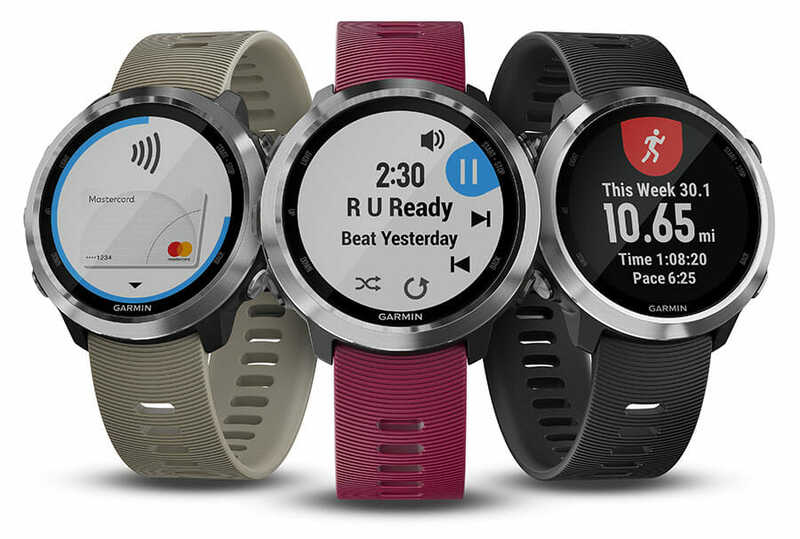 The Garmin Forerunner 645 Music has been marketed as having a battery life of five days, which sounds impressive for a watch packed full of features. However, as I found out to my detriment whilst running in a long-distance race, that actually if you decide to activate your GPS navigation and turn on your music, you seriously start to drain the battery. I only just made it around the course before my watch powered down – the equivalent to just 5 hours! I would therefore suggest using either the GPS or music so that you can eek this out to around 12-14 hours a day. What I loved about this watch? I really liked the look, feel and design of this watch and although I initially thought that the physical buttons were a backwards step by Garmin, I have a new appreciation for them. For someone who can often be all fingers and thumbs, I found navigating around each screen seamless. The biggest selling point for this watch has to be the built-in music feature. Holding over 500 songs meant that I had a huge playlist to scroll through and could mix it up depending on my chosen workout. Being into a number of different sporting activities, I found the indoor swimming functionality a real bonus. It accurately calculated laps and could detect when I was using different strokes. I just can’t wait to try it out on the slopes and whilst paddleboarding. I had heard in advance that there were some software issues with the Garmin Forerunner 645 Music, but I didn’t actually come across that many and genuinely think it’s the price you pay for being an early adopter. 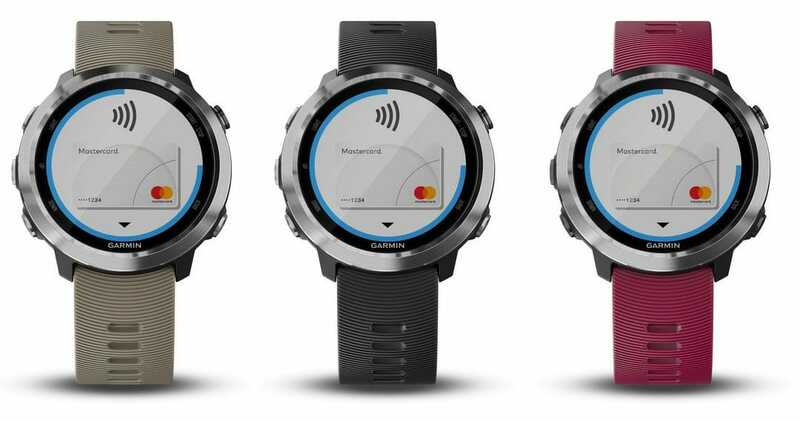 Like other reviewers, I did find the contactless payments and music options for downloading limiting, but as Garmin continue to partner with more banks and providers, over time these functions will become more widely accessible. My biggest bug bear, however, was with the battery life. I wanted a watch that delivered everything it promised to offer and all at the same time. I did find it frustrating that I had to constantly choose whether to listen to music or use the GPS navigation and was forever turning the various features on and off just to prolong the battery life. But hey on a watch that is all singing and dancing, I appreciate that for now I will just have to be patient. The most comparable watch to the Garmin Forerunner 645 Music is the Apple Series 3. 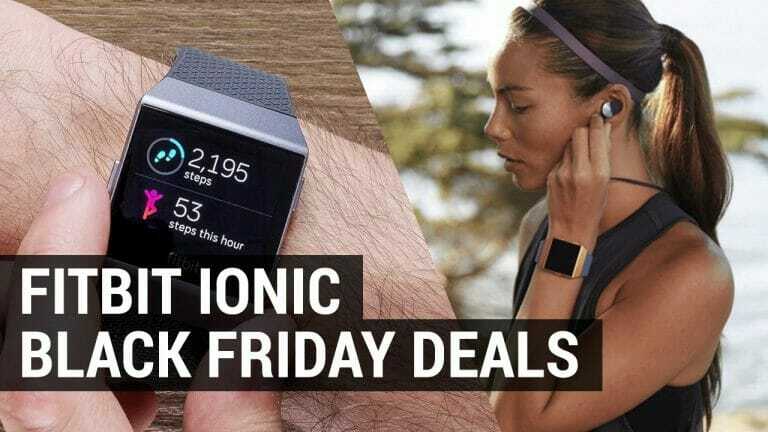 Both are equally matched when it comes to price, music functionality and tracking features and are considered superior products within the market place. The Apple Series 3, having been on the market for a while, is relatively problem free. All early feedback has now been processed and any technical problems have now been ironed out. The Garmin Forerunner 645 Music, however, is still in its infancy and prone to a few software blips. But…if you overlook these in favor of it advanced features, then you will not be disappointed. Having owned both watches I found that the main advantages that the Garmin Forerunner 645 Music has over the Apple Series 3 watch, are the number of data transfer options available. The Apple watch downloads data via Bluetooth only, whereas the Garmin Forerunner 645 Music uses Bluetooth in addition to USB and Wifi. The battery life is also longer with Garmin – if you remember to use the GPS and music efficiently! In terms of training functions, it simply depends on what you want to use each watch for. 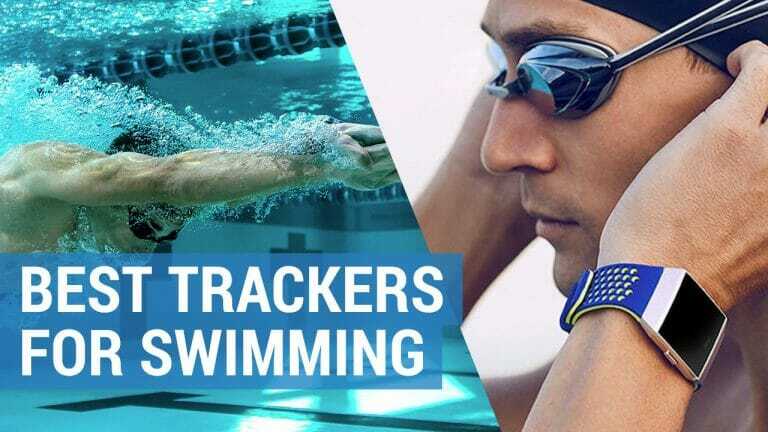 The Garmin Forerunner 645 Music performs better for runners – thanks to its sophisticated features such as the race predictor and recovery adviser – whereas the Apple Series 3 may be a more suitable choice if you are a keen swimmer, as it can be used for open water training and can record your underwater heart rate. Looks are obviously subjective, however the Garmin Forerunner 645 Music is lightweight and compact, which in my opinion makes it more suitable for sport. 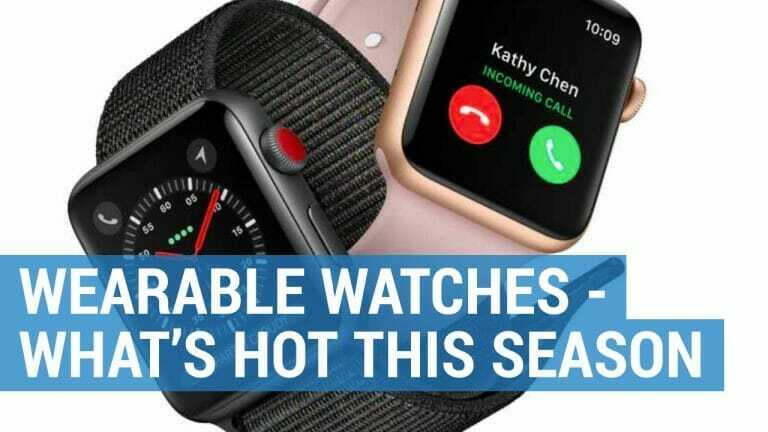 The Apple Series 3, is most definitely a smartwatch first and an activity watch second and is far heavier to wear on the wrist. If you are a serious runner then I would recommend the Garmin Forerunner 645 Music. The price tag is not for the faint hearted (you may need the built-in heart rate monitor from the moment you purchase it!) 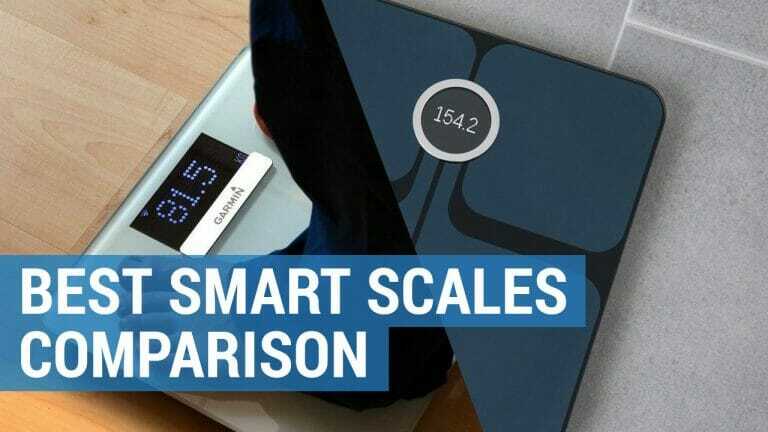 but its advanced training statistics and recovery performance stats provide you with all the data you need to up your game and push the limits. Previously lagging behind Apple and even Fitbit in terms of music functionality, this watch puts Garmin strides ahead of the competition – and it look pretty stylish too. So, if you can overlook a few teething issues and can afford the time to wait for Garmin to add revisions and updates, then you should seriously consider purchasing this watch.